I really enjoy cooking. I find it to be cathartic. In an ideal world I would comb magazine and cookbooks and do something new for dinner each night. Then I remember that I have a job and a family and that we have Taco Tuesday to keep up. I want to be adventurous with our meals but I find myself defaulting to the same dishes every other week because I can make them on cruise control. Cooking dinner becomes a multitasking adventure when I am also devoting brain space to helping with homework, going through the mail, rebooting lunch boxes and prepping for the next day. And really who doesn’t love Taco Tuesdays every week. So when my sister-in-law sent us a box of pre-packed meals I was very excited. 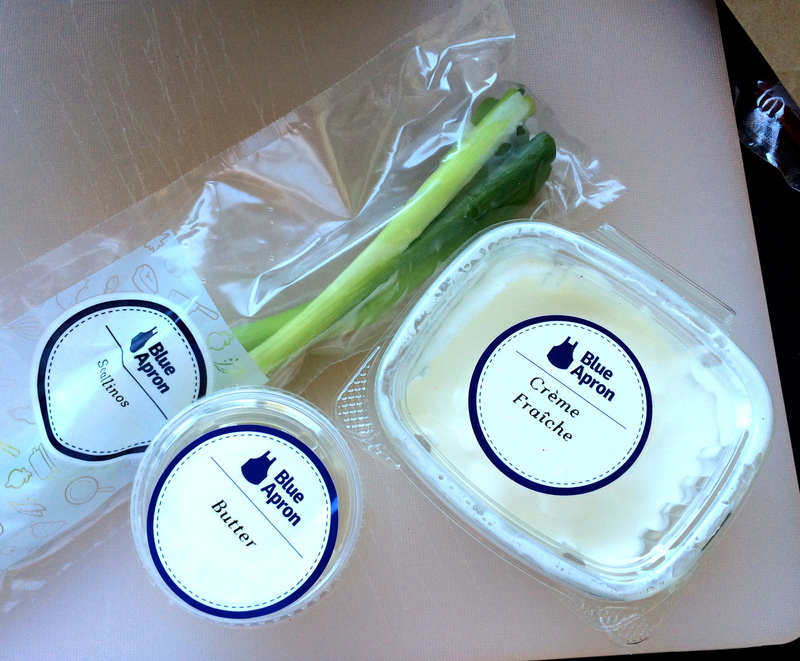 The box came from Blue Apron and included all the ingredients that you needed, a recipe card, and an insane amount of cold packs. We opted for the family meal which was enough to serve four people. This left a small amount for leftovers the next day. It is a very clever idea and was great to try something new. All the ingredients come packed according to what you need per recipe, so we got two half full boxes of cherry tomatoes since both recipes called for tomatoes. This leads to a bit of over packaging in my opinion and there were things that I consider staples like butter and red wine vinegar that are provided in the kits in small amounts. Making a new recipe takes more time since you are not as familiar with the process and I found a few of the instructions slightly off, like toasting bread at 475 degrees in the oven (that burned by the way). But overall the food was good. 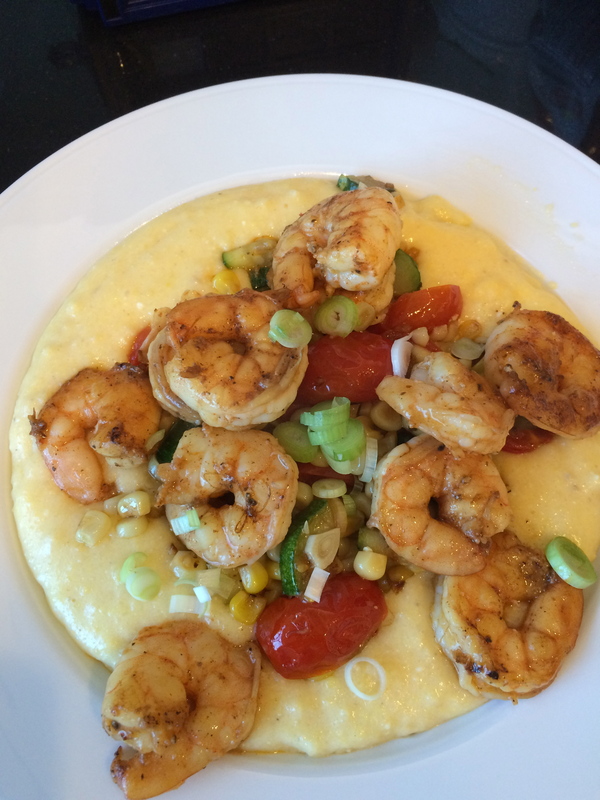 Below is a shrimp and grits dish which was really good with the addition of the vegetables. I have to say that I do not typically plate dinner like this for Taco Tuesday but it was nice to have something different. Overall it was fun to try something new but the cost can be a bit high for the ingredients but you are really paying for the convenience. I would do it again in a pinch. In the mean time I am going to try a new recipe every week to change it up a bit. But Taco Tuesday will stay for now. 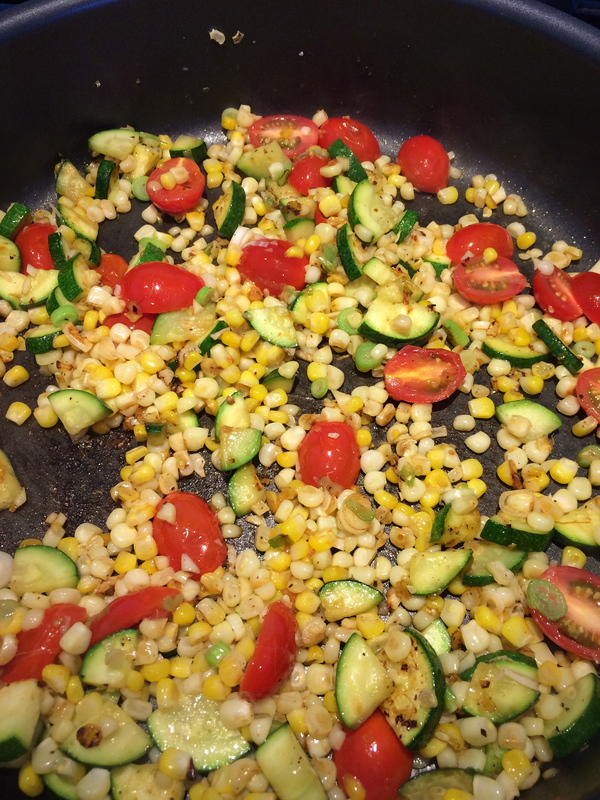 This entry was posted in Food and tagged blue apron, dinner, new recipes by 24useablehours. Bookmark the permalink.